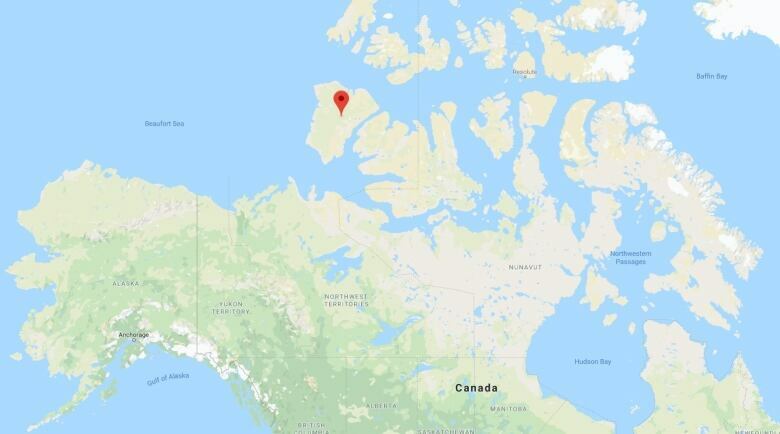 Landslides caused by thawing permafrost on a Canadian Arctic island have increased by over 60 times since 1984, according to a new study, and could triple again by the end of the century. In the study, published in Nature Communications, researchers from the University of Ottawa found the number of thaw slumps on Banks Island rose from 63 to 4,077 in 30 years. Those researchers predict that based on the same moderate climate warming scenarios used by the International Panel on Climate Change, slumping will multiply. Between 2075 and 2085, Banks Island could see 10,000 new slumps, according to the study, with a similar number each decade that follows. 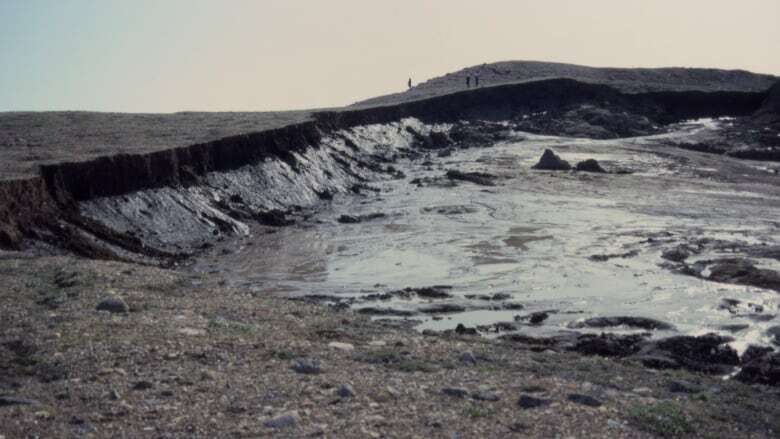 Permafrost researcher and study author Antoni Lewkowicz says the study affirms reports from residents in Sachs Harbour that slumping was increasing inland around the year 2000. "A single warm summer can have a very long impact," said Lewkowicz. More than 85 per cent of the slumps occurred after warm summers in 1998, 2010, 2011 and 2012. Half of the slumps remained active over three decades. Scientists are finding similar activity on nearby Victoria Island, he said. "We now have a very strong indication that the extremely warm summers are going to have a major impact in those areas where there's already a lot of ground ice," he said. Scientists used satellite images from Google Timelapse to compile the data for the study. The images, taken between 1984 and 2015, show the colour of 285 lakes on Banks Island changing from dark blue to turquoise or beige. The study also estimates that 100 million tons of ice have been lost from Banks Island over that time period. Some shorelines have completely collapsed and river valleys are being "choked" by sediment flowing from thousands of slumps, said Lewkowicz. "That surely is going to have an impact on aquatic ecosystems in those lakes," he said, adding that major changes to the landscape are associated with climate change. Scientists are studying how the extra sediment is affecting waterways because there is no baseline data. 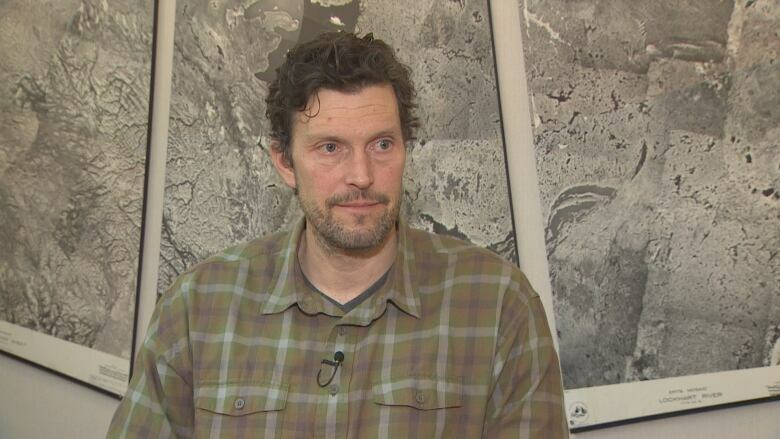 Lewkowicz said he previously thought permafrost in the southern N.W.T. would be more vulnerable to climate change than Banks Island, where permafrost is 500 metres thick. At the end of the last glaciation in North America roughly 12,000 years ago, the eastern portion of Banks Island was covered in ice. New slumps are releasing stored carbon, which will contribute to climate warming, he said. 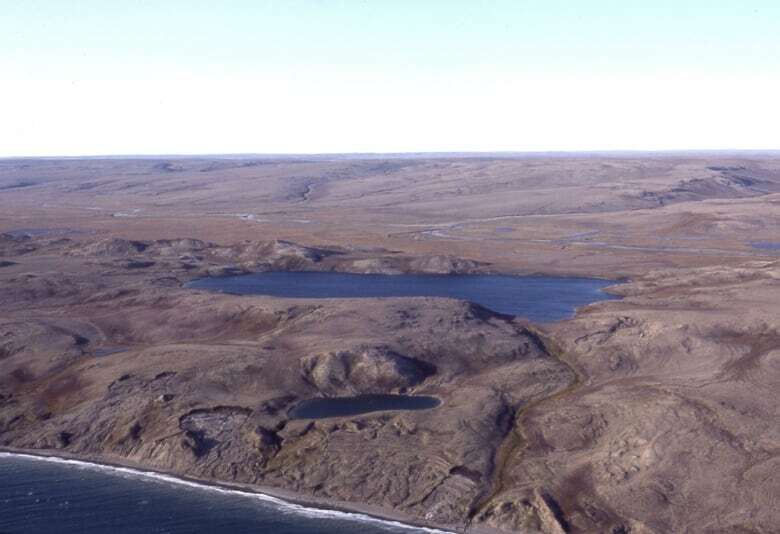 The research is important for land planners and communities because sediment will affect water quality, said Steve Kokelj, a permafrost scientist with the Northwest Territories Geological Survey. "In many parts of the Canadian Arctic there's lots of old ice that's been preserved, essentially left over from the last glaciation. And it's these landscapes that are extremely sensitive to contemporary climate change," he said. "There's some pretty important implications to water quality which, of course, communities are going to be very interested in." Past studies have shown permafrost thaw can "dramatically affect" water quality in lakes and streams, said Kokelj. "Figuring out how those impacts kind of cascade through the system becomes really important in terms of managing our water resources."